As you know, President Obama celebrated Earth Day this week by visiting the Florida Everglades where he spoke about the threat that climate change poses to our economy and to the world, in the latest part of his effort to call attention to act on the threat of climate change. The President also announced how we're investing millions in new funding to protect our parks, as well as new actions the Department of Agriculture will take in partnership with farmers, ranchers and forest land owners to reduce net greenhouse gas emissions. 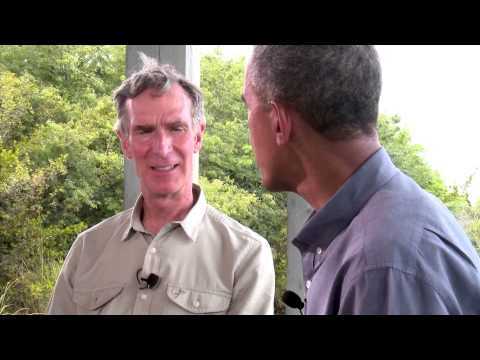 While in Florida the President sat down with Bill Nye the Science Guy in the Everglades to discuss climate change, conservation, and science education in America. Viva Citizen Journalism! #GiveLocal15 is May 5th - Support The UpTake for the Win! Trump is reshaping the American courts for decades to come — and turning back the clock on diversity.